WHAT MIGHT THE THE EVENTS IN EGYPT MEAN TO ISRAEL/PALESTINE? The Mubarak dictatorship is a core pillar of the U.S./Israeli order in the Middle East, an order that completely ignores the wishes and aspirations of people on the ground. The U.S. and Israel are scared of the new order that is to come. The Egyptian uprising against the Mubarak regime is historic and important in its own right. 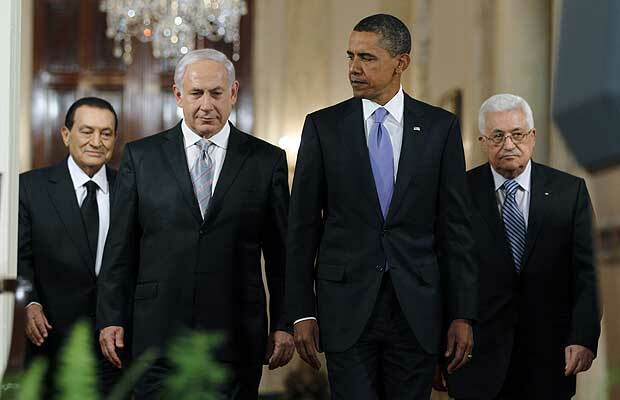 But it may also lead to significant changes in the region that could be positive for the Palestinian cause. Israel is worried about a reliable ally being toppled next door. As As’ad Abu Khalil notes at his blog, “the Israeli strategy in the Middle East has been firmly set on the continuity of the Sadat-Mubarak dictatorship.” Israel’s peace agreement with Egypt in 1979 removed a military threat to Israel and secured millions of U.S. dollars and military support for the Egyptian dictatorship. The Mubarak regime got carte blanche for its repressive rule. Currently, there is extensive cooperation between Egypt and Israel. Cables obtained by WikiLeaks, and published by Counterpunch, reveal that the Israeli military coordinated bombing runs with the Egyptian military during the 2008-09 assault on Gaza and closed the Rafah border when told in advance that Israel’s ground invasion was to begin. WikiLeaks’ documents shed further light on Egypt currently building a wall meant to choke off smuggling tunnels into the Gaza Strip. The fall of the Mubarak regime, which is what the youth revolt currently sweeping Egypt is calling for, could mean a number of things related to the siege of Gaza, continued efforts to crush Hamas and the political situation Israel finds itself in. All told, what happens in Egypt will not stay in Egypt. It will have ripple effects across the Middle East, and especially in Israel/Palestine. This is amazing. Just what did Israel expect when they tripled the already overbuilding and stealing of arab lands? It is pretty clear that the entire region is going to change and I doubt that Israel will be happy with what they wish in their white paper clean break. Clean break was written by Richard Perl and in the document he called for regime changes in all the nations in the middle east but Israel. Classic case of you should be careful for what you wish. Clear break was adopted by the Likud party of Israel. Well I wonder if Bibi will move back to the USA if the revolution is not confined to just arab nations? Palestinians is not lusing enything, they only have to reshuffle and start again fresh. AT the moment the Hasbara runs on overgear, but their angle/focus is uninnteresteing at best. In this days they just reveal themselfs, for whatt they are, a country that has and still is in three different contrys, to day. The reasent revolutions have reveald the magnitutt of the hypocracy of USA and Israel. The lifesupport and political/economical backing of “demokratic” goverments and presidents(aka dictators). Now its aparent to everybody, everywhere, and the Arab people hawe I hope, learn their lesson from decades of oppression. Facism comes is many discuises. We can only hope that the days ahead,is the beggining of something new, and for the benefitt off the Egyptian people. I literally have no clue what’s going on in Egypt at all. I keep hearing about protests and everything but that’s it. I only hope it destroys Israel completely. That terrorist country should have been shut down decades ago. or possibly “russia today” ! robertsgt40, what evidence do you have for your statement?